Anyone who sews knows that you end up with a lot of scrap fabric. Oftentimes, it’s too small to do anything with, but you save it anyway. Throwing out fabric just seems so wasteful. If you’re like me you store in up in bins and think to yourself, “I’ll do something with it someday”. 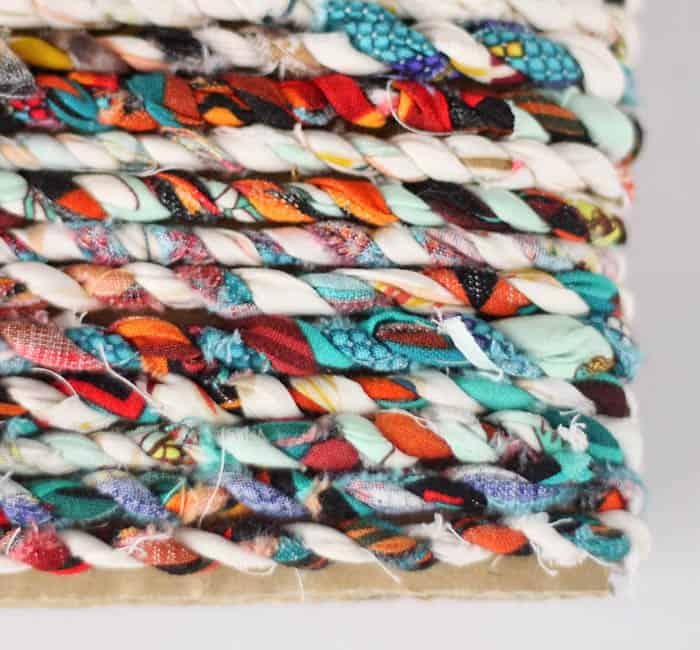 I’ve found the perfect solution to your scrap fabric hoarding! 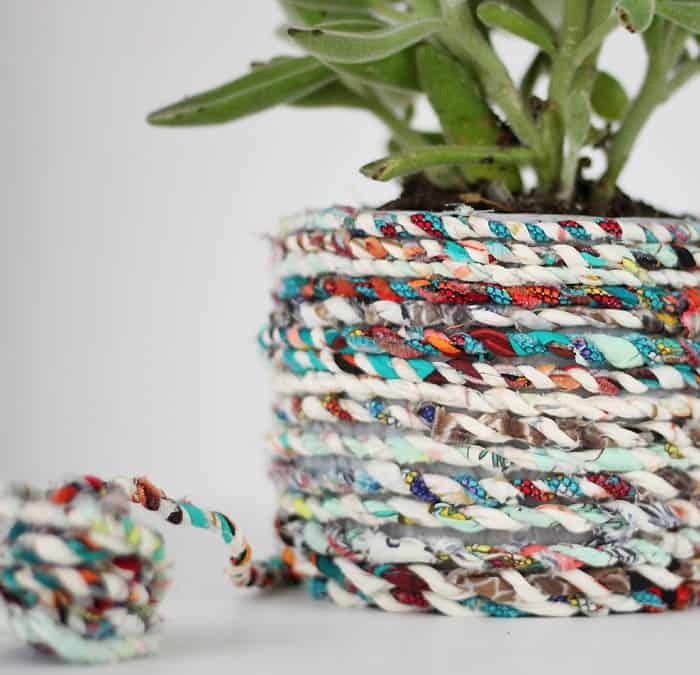 This video tutorial will show you How to Make Twine from Fabric Scraps. This is really easy to do and the only tool you need is your hands. 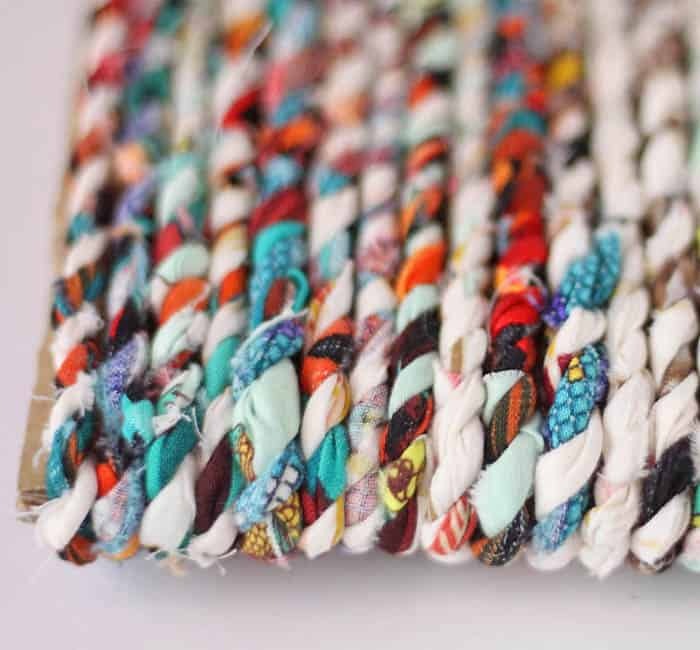 It’s also pretty addictive to make and the perfect thing to do while binge watching Netflix. 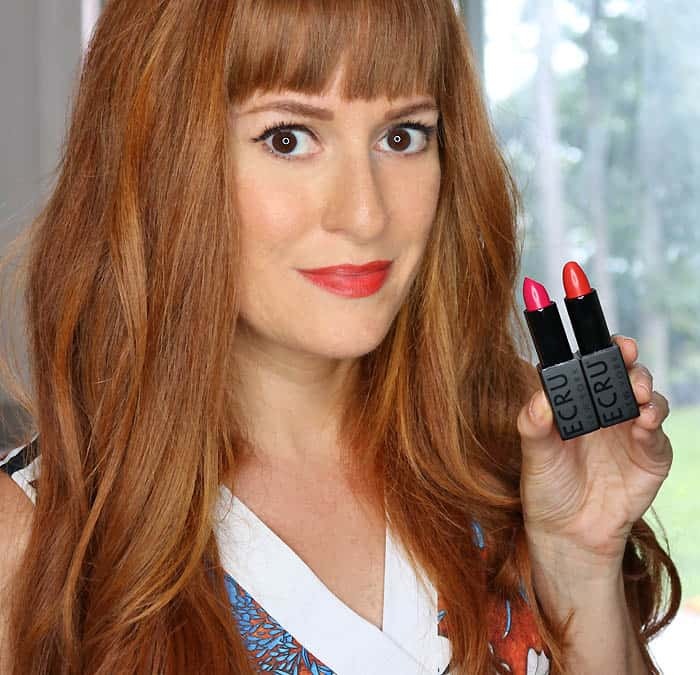 Want more Easy DIY projects? 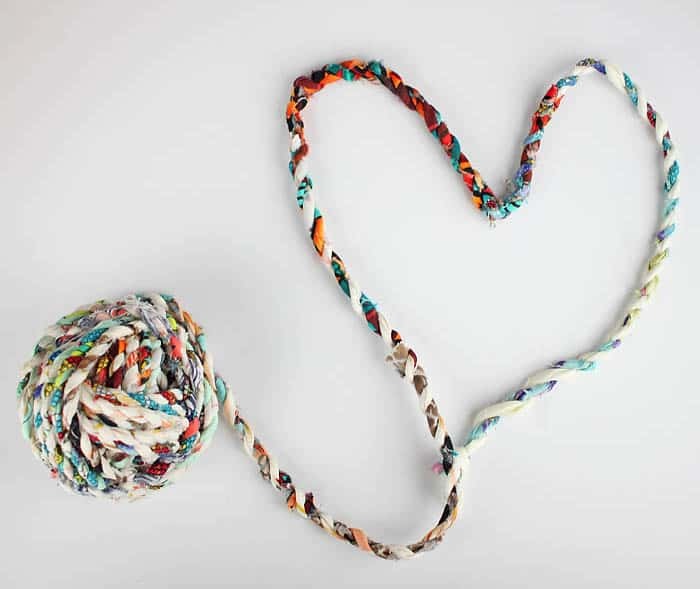 This fabric twine is perfect for decorating presents, and as garland. 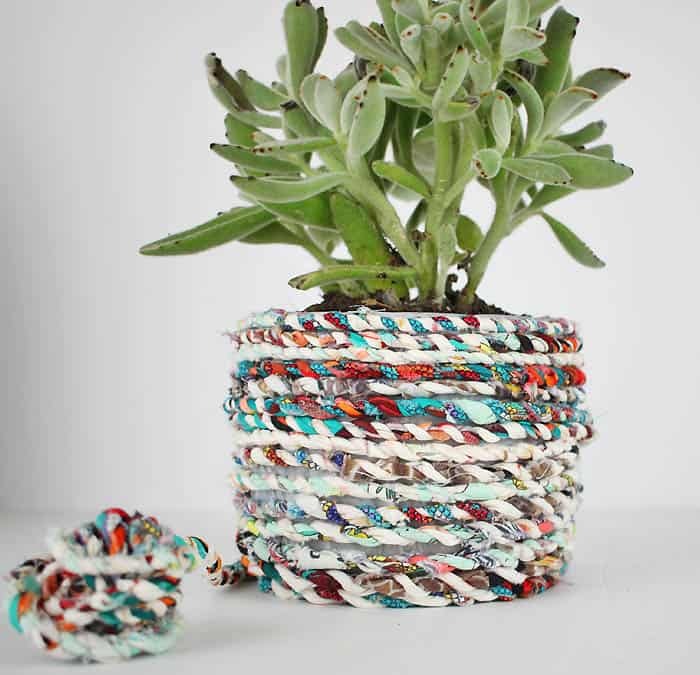 You can even wrap it around flower pots and vases.This is the perfect way to turn your fabric scraps into something beautiful and useful! You could also just baste the two starter pieces together to reduce the bulk of doing a knot.